BusCar is one among the legendary bus company in Kenya. 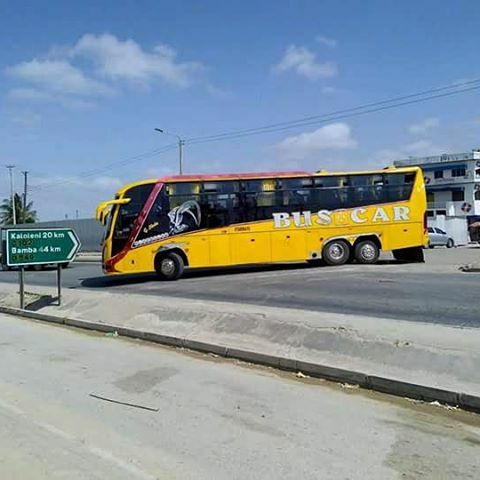 This is an Intercity bus services serving Nairobi city with other major cities and towns in kenya. 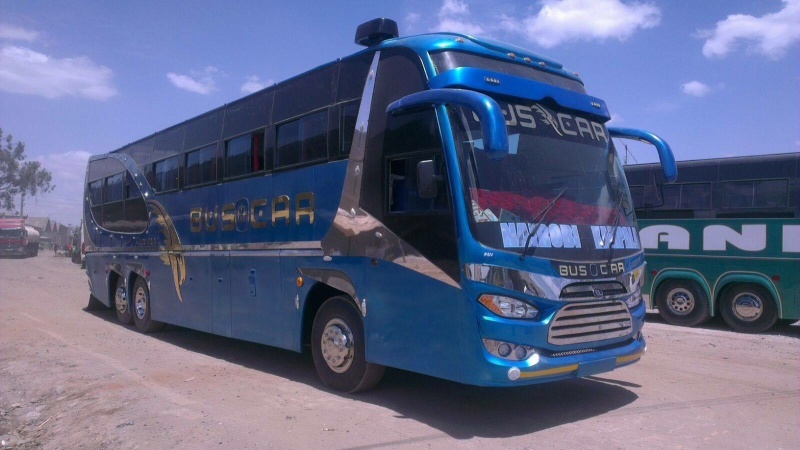 Most of their buses are Scania model with local made bodies assembled in Kenya by Master Fabricator. BusCar Is Divided Into Two Classes, The Cinemax Zone(VIP Section) and The Live View Zone(Business Section). 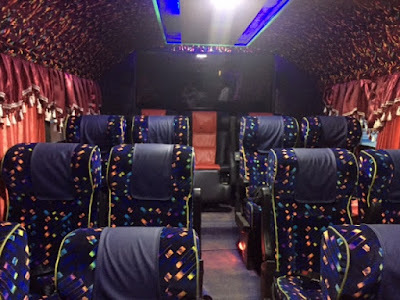 They The Business Section As The Live View Zone Because You Got The Live View Of The Road Action Since Its Located In The Front While Its VIP At The Back Unlike Most Buses In Different Bus Companies. The Cinemax Section Has Got 15 Seats Beautifully Arranged Like You Are Right In The Cinema. There Is This Huge LCD TV Screen and Curtains Everywhere To Maximize The Cinema View While Traveling and Right Below There Is This Huge Dynamic Speaker To Bring To Live The 3D View of The Cinema. The Section Also Has Got Charging Sockets, Though I Didn't Like Its Setup Plus The Hanging Wires At The Front-Right Corner Of The The Section- This Is Most common In All Scania Buses in Kenya.